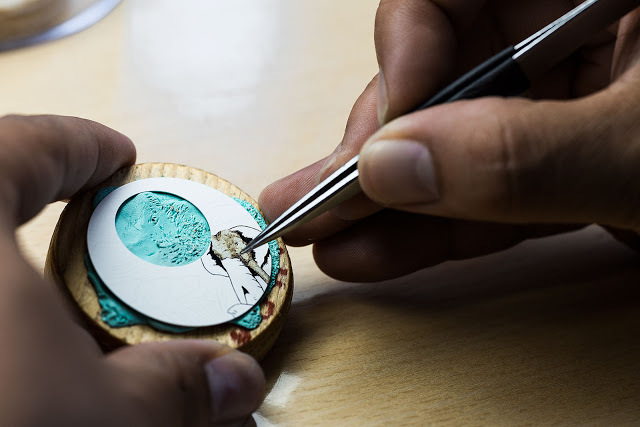 Inspired by the eggshell mosaic technique found in Vietnamese lacquerware, the dial of the Petite Heure Minute Mosaic Elephant is comprised of some 2000 tiny pieces of quail eggshell. 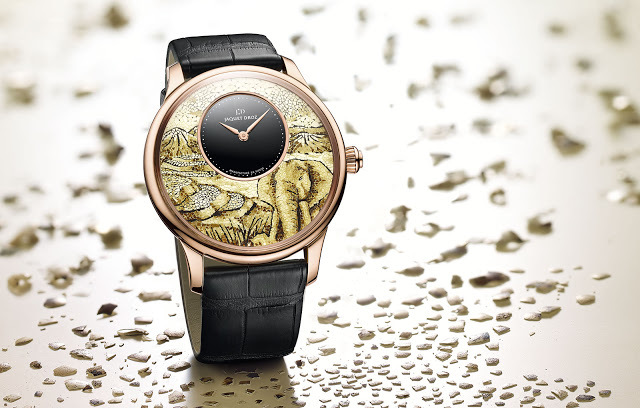 In the tradition of elaborately decorated dials characteristic of Jaquet Droz, the dial entirely created with minuscule fragments of eggshell, depicting an elephant against an expanse of paddy fields. 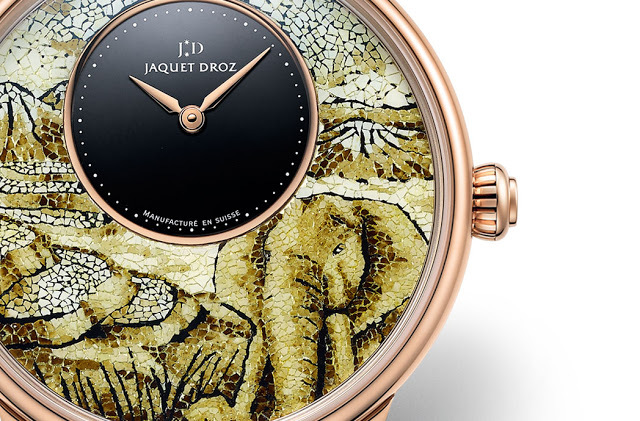 Unlike the more common mosaic techniques that utilises pieces of precious stone (as found on the Piaget Altiplano Micro Mosaic Rose for example), the mosaic of the Petite Heure Minute Mosaic Elephant is comprised entirely of eggshell. Though only quail eggshell is used for the dial, varying colours and tones are achieved in the mosaic by sorting the eggshell according to colour and shape. Thus shading and shadow is possible, with the gradient of colours most visible on the elephant. 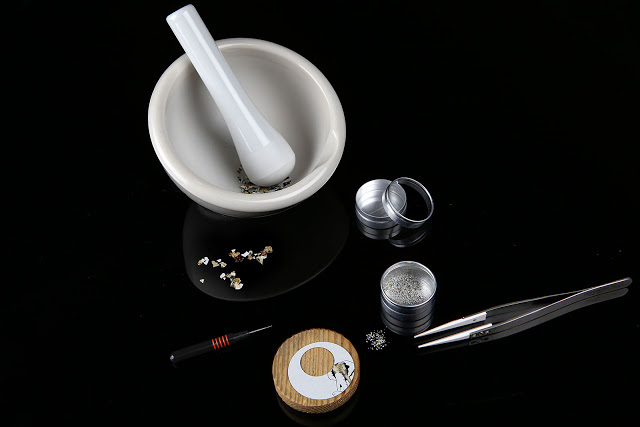 The eggshell is pounded with a mortar and pestle to break it into pieces small enough for a wristwatch mosaic. Every piece of eggshell is put in place by hand and secured with a tiny bit of cement. Once complete, the mosaic is covered with transparent lacquer to protect it. 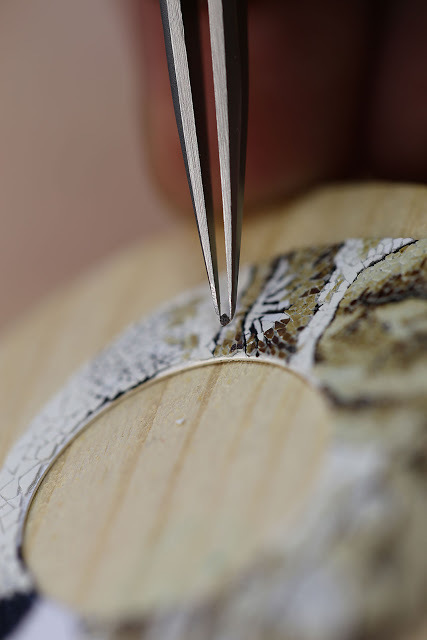 The dry lacquer is then polished to give the dial a clear gloss. From start to finish the dial takes over 200 hours to complete. 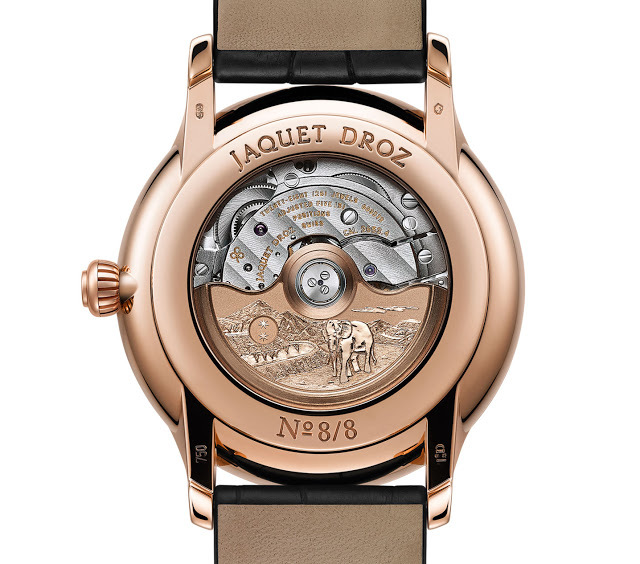 The elephant decoration is also found on the back, with the 22k red gold rotor engraved with an elephant as well as the twin stars of the Jaquet Droz logo. The movement is the calibre 2653, which is actually a Frederic Piguet automatic with a 68 hour power reserve. The case is 18k red gold with a diameter of 43mm, while the sub-dial for the time is black onyx stone. The Petite Heure Minute Mosaic Elephant is limited to eight pieces.